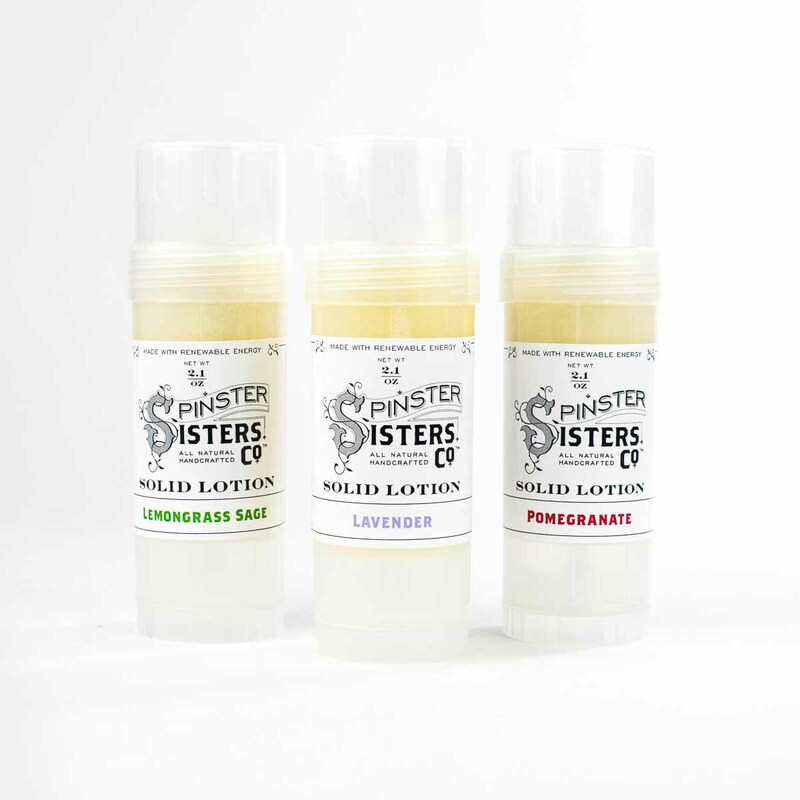 Solid Lotion | Moisturizers | Spinster Sisters Co. This Solid Lotion is really one-of-a-kind. It's made with vitamin E and coconut oils, both renowned for their healing and moisturizing properties. What makes this lotion extra special is its solid state, which is great for travelers! No need to worry about fitting it into a Ziploc bag; our Solid Lotion can stay in your carry-on, no problem. 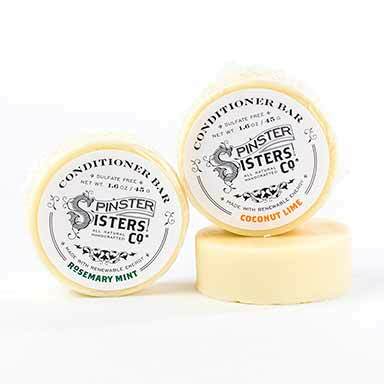 Spinster Sisters Co. uses fair-trade shea and cocoa butters. Purchased this in Denver airport on my way home after 3 weeks in US where the climate is drying out my skin. 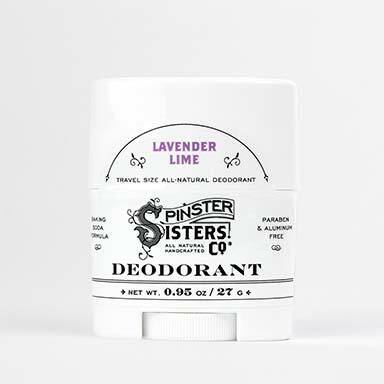 Love that it comes in a solid form so it's handy to bring around & it works very well to moisture my skin. Prunus Amygdalus Dulcis (Sweet Almond) Oil, Cera alba (Beeswax), Cocos Nucifera (Coconut) Oil, fair-trade Butyrospermum Parkii (Shea Butter) Fruit, Theobroma cacao (Cocoa) Seed Butter, Tocopherol (Vitamin E) Oil, and Essential Oil (EO) or Fragrance Oil (FR) [scent options note if EO or FR is used]. Uncap this delightfully Solid Lotion, generously rub on desired area, and smile knowing that your new favorite lotion is TSA friendly.